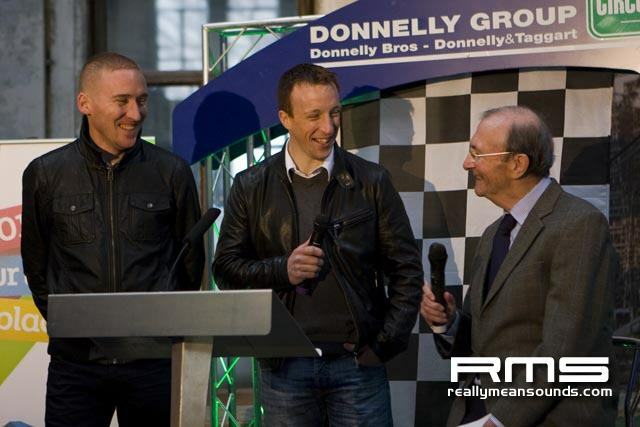 A global motorsport phenomenon will roar into Belfast this Easter, as the 2012 Donnelly Group Circuit of Ireland Rally joins the Intercontinental Rally Challenge (IRC) series in an event that will be broadcast to almost 80 million around the globe. Starting in Belfast for the first time in over two decades the iconic Harland and Wolff cranes and gleaming new Titanic Belfast building will provide an incredible backdrop as the Titanic Super Special Stage, broadcast on Eurosport, starts the famous rally across 6/7 April 2012. As part of the Titanic Festival, Good Friday will see thousands of spectators descend on Titanic Quarter as 120 competitors, including the best Irish drivers and IRC stars from around the world, race across an adrenaline filled track of more than 2km, specially designed to guarantee incredible spectator viewing. 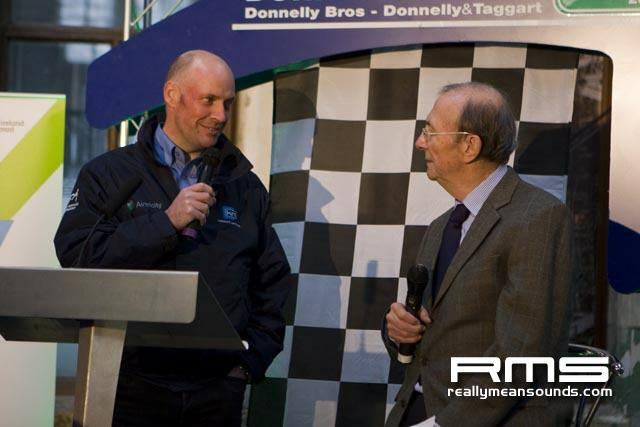 The rally then powers south for 14 more stages over two days centred round the historic host city of Armagh and also including a city centre Power Stage in Lisburn which attracted 15,000 spectators last year. Speaking at todays launch in the Titanic Drawing offices in Belfast, Rt Hon Peter D Robinson MLA said: 2012 is a year of utmost importance to Northern Ireland. There are so many special events and anniversaries taking place that we can safely say we have a genuinely exciting experience to offer the world. 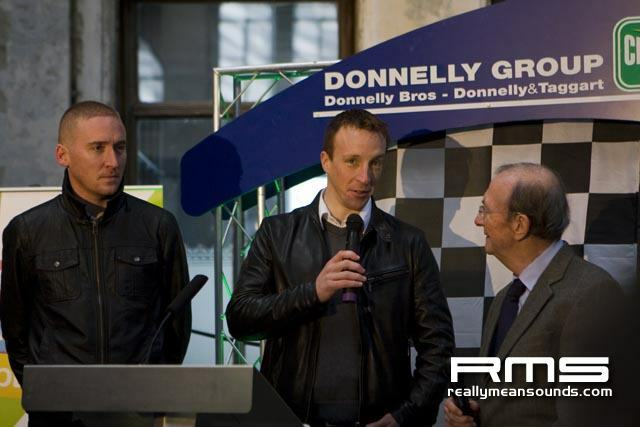 I welcome the thrilling contribution the 2012 Donnelly Group Circuit of Ireland Rally will make to the world-class programme of NI2012 events and especially welcome the news that the Rally has been inducted into the 2012 Intercontinental Rally Challenge and is only UK stage in the calendar. 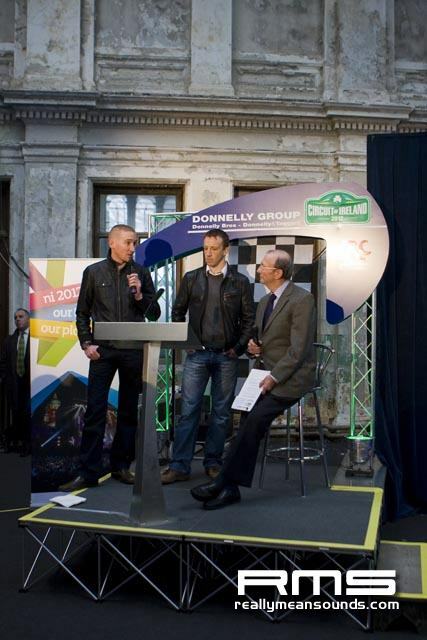 With the addition of the IRC, this event will not only bring in crowds in their thousands to Northern Ireland, showcasing our tourism product and contributing to the development of the economy but will also show Northern Ireland to around 10 million people via Eurosport. Thats why I am pleased that the Northern Ireland Tourist Board has provided financial assistance of 70,000 to support marketing and promotion as well as assist with the cost of running the event. 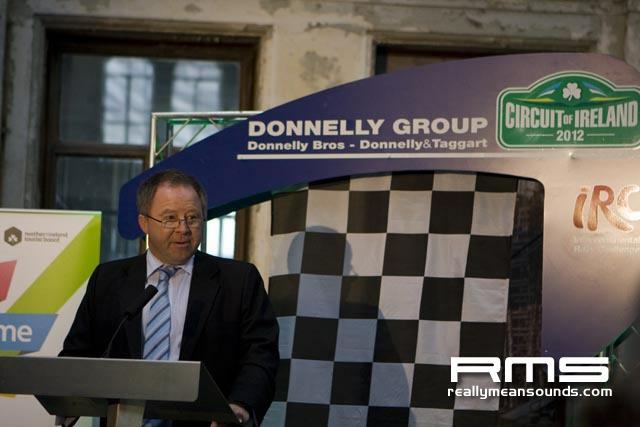 2012 will be the biggest and best Circuit of Ireland Rally in more than two decades as we continue to restore the event to its former glory. First and foremost, I want to thank both Northern Ireland Tourist Board and Tourism Ireland who were visionary in realising the potential of this event and worked tirelessly to secure it. The Titanic Super Special Stage will be a feast for motorsport fans and families alike with some of the worlds biggest rallying stars, including current IRC series champion, Norways Andreas Mikkelsen, thrilling crowds on a stage that will be built beneath grandstands yards from where the Titanic was launched. The slippery surface of this stage will really test the competitors making it incredibly exciting for both drivers and spectators alike. 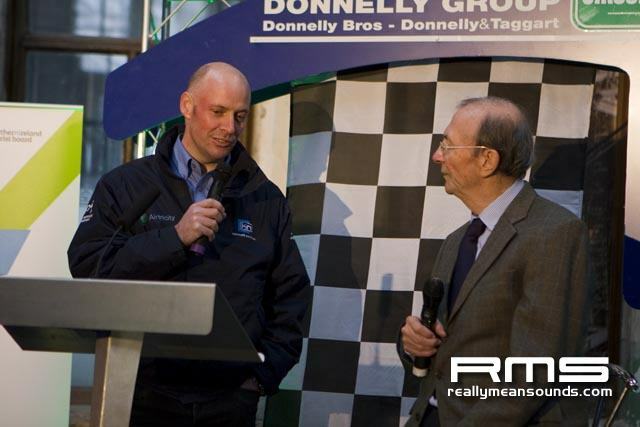 Willis, who organised the Super Special Stage at Stormont in 2007 as part of Rally Ireland, has always been keen to ensure the public get as close to the drivers as possible. 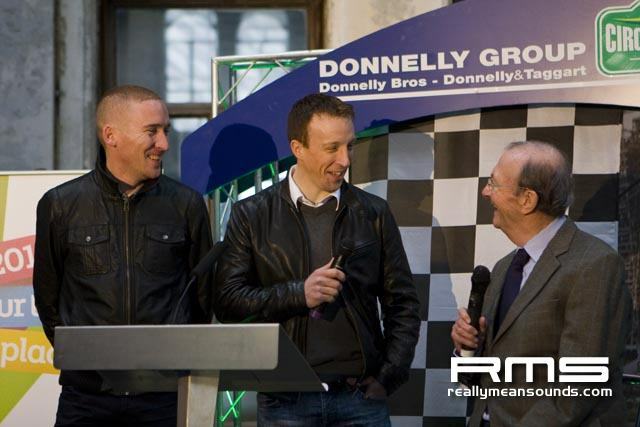 Fans and families will have the opportunity to meet the drivers before a ceremonial start at Belfast City Hall and again in Lisburn and Armagh as we bring the Rally back to the people. 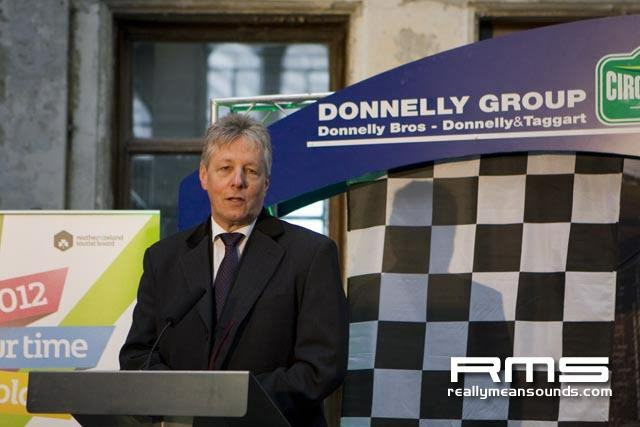 Belfast Mayor, Councillor Niall Donnghaile welcomed the news. 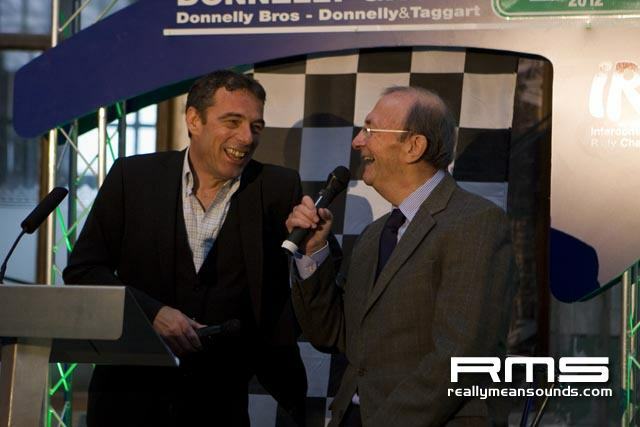 Following the MTV EMAs last November, Belfast will once again be beamed into the homes of millions of viewers via Eurosport coverage of the Circuit of Ireland Rally. 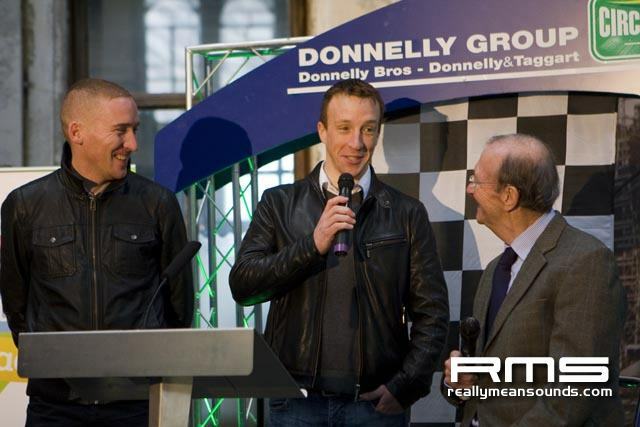 2012 is set to be another huge year for Belfast and Circuit of Ireland will take its rightful place among the world class events we have planned around the opening of Titanic Belfast and during the Titanic Festival. 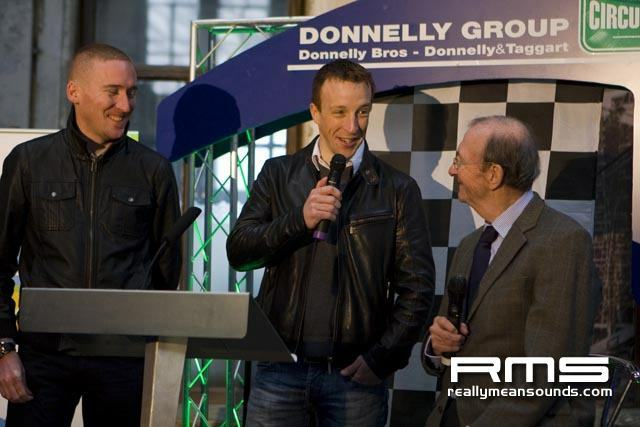 The IRC is one of the most followed motorsport series on the planet with a cumulative audience of 79 million viewers in 2010 (official 2011 data has not yet been released) and rose to prominence in the UK and Ireland when Dungannons Kris Meeke won the title in 2009. 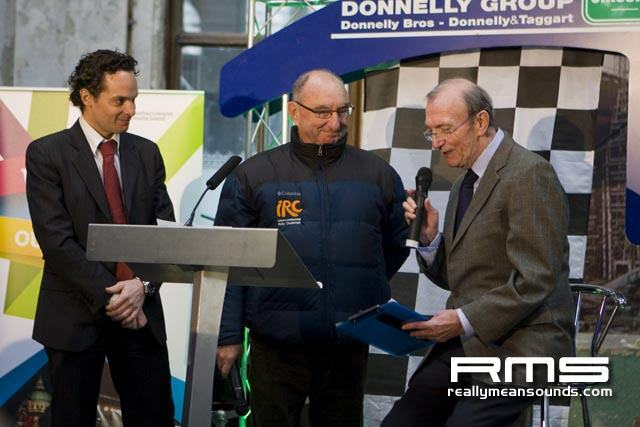 We are delighted to welcome the Donnelly Group Circuit of Ireland Rally to the IRC family. 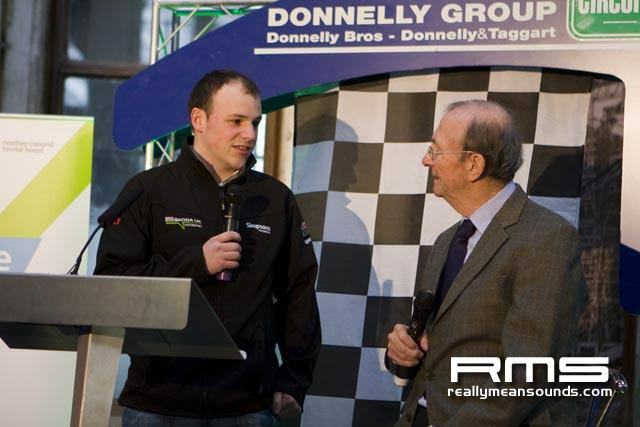 Drivers competing in the IRC are always keen for a new challenge and having driven the stages I can assure them a challenge is exactly what they will get from the Donnelly Group Circuit of Ireland Rally! The Easter weekend tarmac stages through the beautiful Irish countryside are incredibly demanding. Several narrow roads, bumpy tarmac with ever changing conditions will ensure excitement and adrenaline levels will be running high at every corner. The breath taking backdrop of Counties Armagh, Down and Antrim will certainly not disappoint rally fans around the world, who are set to travel to Ireland to experience this new and truly exhilarating round of the IRC. 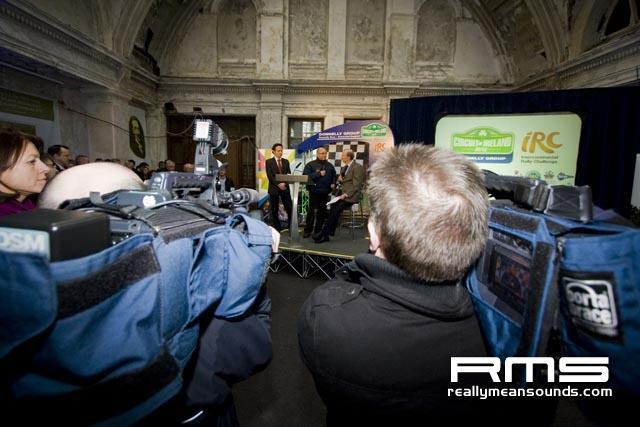 Ever since the IRC’s inception in 2007 it has been our objective to showcase new events and cities but to also join forces with established rallies with a strong reputation, entry list and following. The Circuit of Ireland Rally is steeped in tradition and we are delighted to be playing a pivotal role in the Titanic Festival in Belfast. 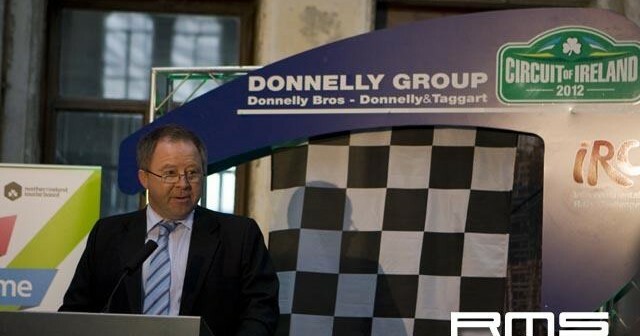 Among the top Irish drivers that will do battle with current IRC series stars next year will be Donnelly Group sponsored Donagh Kelly (Donegal), Jonny Greer (Carryduff), Craig Breen (Waterford), Robert Barrable (Dublin) Mark Donnelly (Omagh) and Alastair Fisher (Trillick). Mike Smith, Chief Executive at Titanic Quarter Limited said: As a high profile European waterfront development we, along with our co-promoters Belfast Harbour Commissioners, are committed to continue to act as a driver for investment and development of Belfast. Titanic Quarter is delighted to be hosting a world class sporting event. 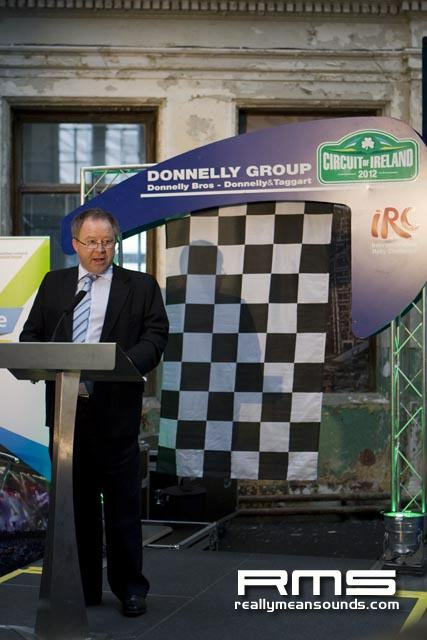 The rally fits with our vision of transforming the maritime quarter with high profile businesses, accommodation and a community that will benefit from sporting events such as the Circuit of Ireland. The profile that Belfast will receive through Eurosport coverage cannot be underestimated. 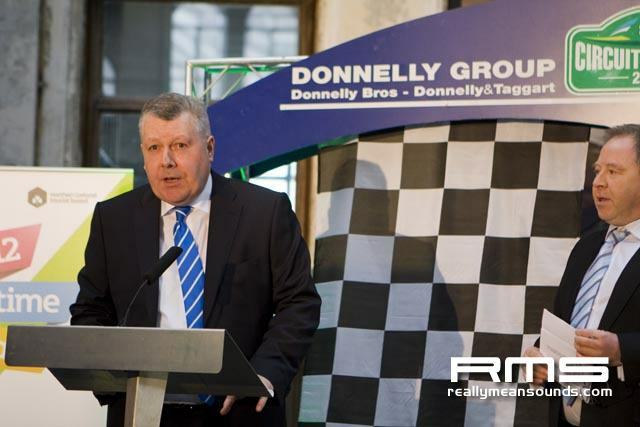 Title sponsor once again this year is the Donnelly Motor Group which has seven sites throughout Northern Ireland. 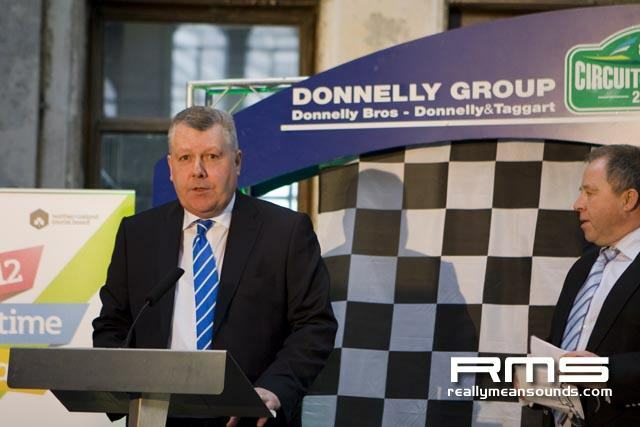 Its Managing Director Terence Donnelly said: Everyone at the Donnelly Group is absolutely delighted to once again be sponsoring the Circuit of Ireland Rally which has truly come of age with its inclusion with the IRC. 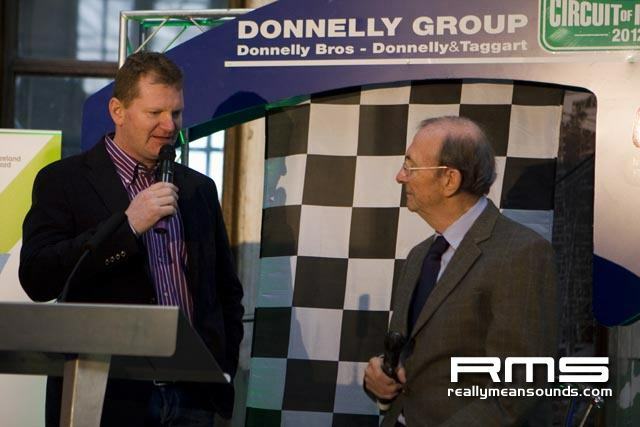 Last years event was a massive success and the general public in Belfast, Armagh and Lisburn as well as the legions of motorsport fans who will descend on these shores from the further afield, are in for a treat this Easter. 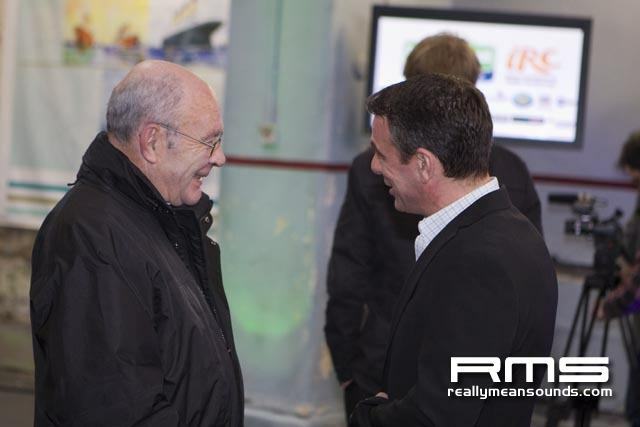 I am proud to support the Rallys continued development which will have far reaching economic and tourism implications for the region as a whole. 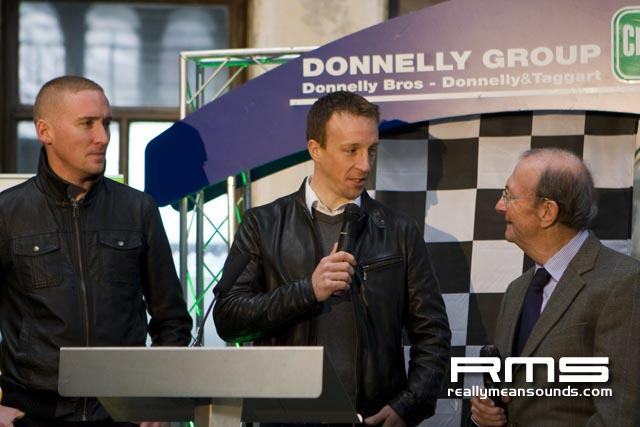 This years co-sponsors of the 2012 Donnelly Group Circuit of Ireland Rally include: UTV Drive, Tourism Ireland, Northern Ireland Tourist Board, Armagh City and District Council, Lisburn City Council and Belfast City Council, Titanic Quarter, Kantar Media, Triton Showers, KDM Hire, Yellow Brick Road, and The Armagh City Hotel.